Michelle! congratulations, Michelle! we’re so happy for you! we’ll be sending you an email soon to get your info. thanks to everyone who entered! there are still 07 days left to win something! My name is Sylvia and I’m the creator behind Bizuza Printables. I’m a planner, an organizer, and love to help others getting organized. I started creating templates from my personal experience to organize my own life. Using these planners has helped me to streamline my routines putting me on top of my workload. I believe that every bit of time we invest in getting organized, the more efficient we are and the more time we have to do what we truly enjoy. 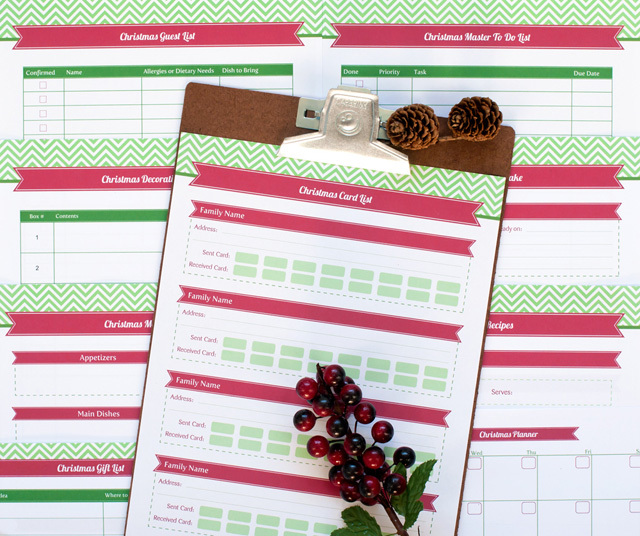 Whether you want to plan your family’s meals in advance or keep track of your finances, I’ve got a printable organizer for you. All of my printables are 100% editable so that you can customize them with your own information to fit your personal needs. Let me help you to keep order in every corner of your life! 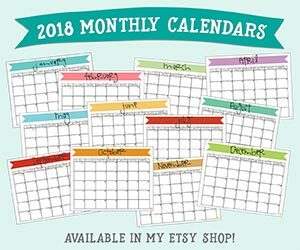 1. head on over to Bizuza Printables, find something you like, then come back here and tell me what it is you like from their shop in a comment. all entries must be submitted before midnight mst today, december 5th. one winner will be randomly selected and announced on this post tomorrow at 8pm MST. you must be a resident of U.S. or Canada to be eligible. I like the paisley recipe pages – very cute! I also like the home organizer that has the internet website password sheet, very smart. I subscribe, follow and repinned on pinterest, and shared on facebook. Thanks! I like all the candy buffet labels. I shared the post on facebook, subscribed to LCE, follow on pinterest and repinned. I like the receipe cards. shared, suscribed, follow on pinterest and possibly retweeted 🙂 Not sure I am doing it right LOL pretty sure I am!! pinned!! I like the Home Organization Binder Starter Kit. It has a little bit of everything. I LIKE and Shared on Facebook. I subscribe to livecrafteat. I follow and repinned on Pinterest. I follow and tweeted on Twitter. I like the recipe cards and pretty much everything else! I shared on Facebook, pinned it, subscribe and also follow on pinterest.